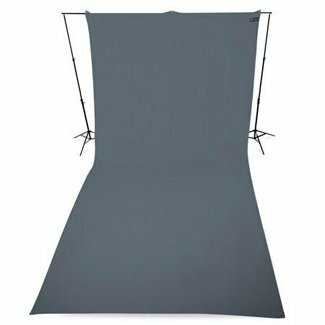 The gray Westcott 9 x 20' Backdrop features a wrinkle-resistant heavy cotton construction and a matte surface to avoid any reflections. It also features a 2.3" pocket on the top edge for sliding in a pole to hang the backdrop on and metal grommets on each corner. This backdrop is machine washable and includes a drawstring bag for storage and travel.